Yes, this is Wolverine’s First Official Appearance! On the last page of Incredible Hulk #180, one of the world’s greatest superhero’s made a cameo. Making his first official appearance in Incredible Hulk #181, Wolverine jumps into the fight between Hulk and Wendigo. Realizing his Adamantium claws can’t hurt Hulk, Wolverine takes his classic anti-hero stance to fight off Wendigo instead. After a short battle, Marie Cartier manages to lift the Wendigo curse from her brother, Paul, and transfer it to Georges Baptiste. Never intended to be a serious player in the MCU, Wolverine is now one of the most popular Marvel Comics characters ever and has starred in hundreds of comics, movies, and memorabilia. His anti-hero persona has been a huge influence on comics ever since. 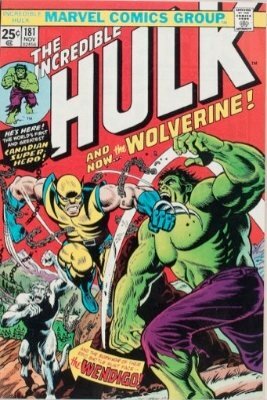 Wolverine’s next appearance is in Incredible Hulk #182, and then again in Giant-Size X-Men #1. 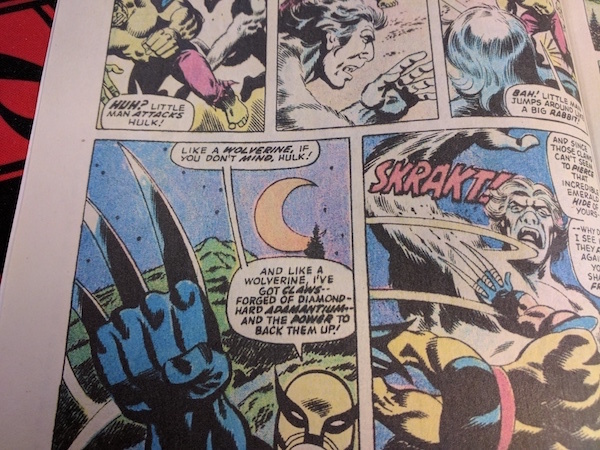 Thanks to writers Len Wein and Chris Clermont, and artist John Byrne, Wolverine’s story was greatly expanded. 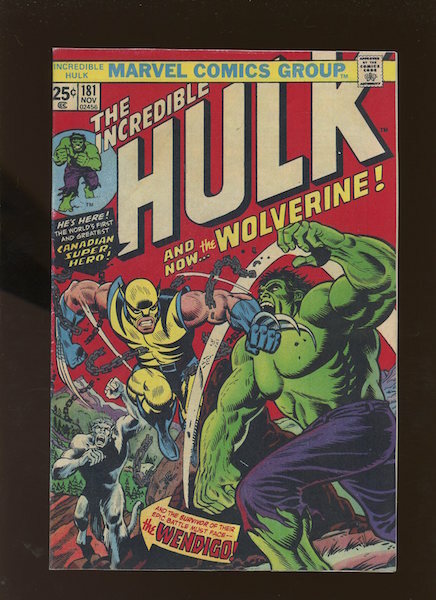 Considered by collectors to be Wolverine’s first true appearance, Hulk #181 is one of the most legendary first appearance comics ever. Some comic historians consider this the "Action Comics #1 of the Bronze era". In perfect graded condition, Incredible Hulk #181 can sell for over $15,000, and the record sale for this historic comic is $23,000. What's extraordinary about Hulk #181 is the range of condition that people will accept this comic in for their collection. Rags -- literally, rags of comics -- will change hands for serious money. This is one of the world's hot comic books, and prices have risen to reflect that. Prices in grades for CGC-certified books. Lower grades out of CGC holders will sell strongly, but you will get less money in higher grades. 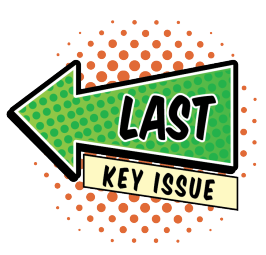 It's important to note that this issue contains a Marvel Value Stamp. This is often cut out. CGC copies missing this are given a green "Qualified" label, and sell on average for one-third of the normal price. Example: We sold a CGC 9.0 Qualified for $1,000 versus the then-price of $3,000. 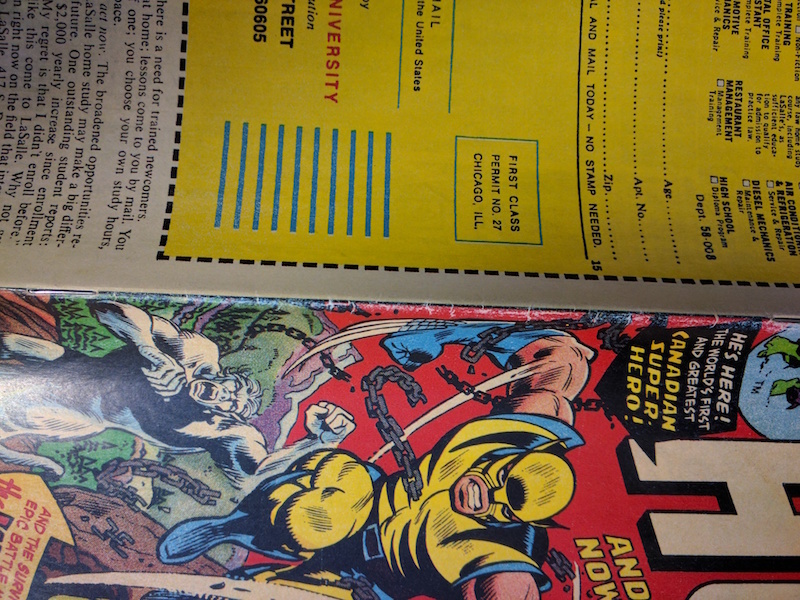 Read more about Marvel Value Stamps here. 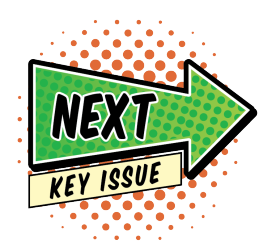 It's important to note that this issue contains a Marvel Value Stamp. CGC copies missing this are given a green "Qualified" label, and sell on average for one-third of the normal price. WARNING: Fake Hulk #181s Exist! 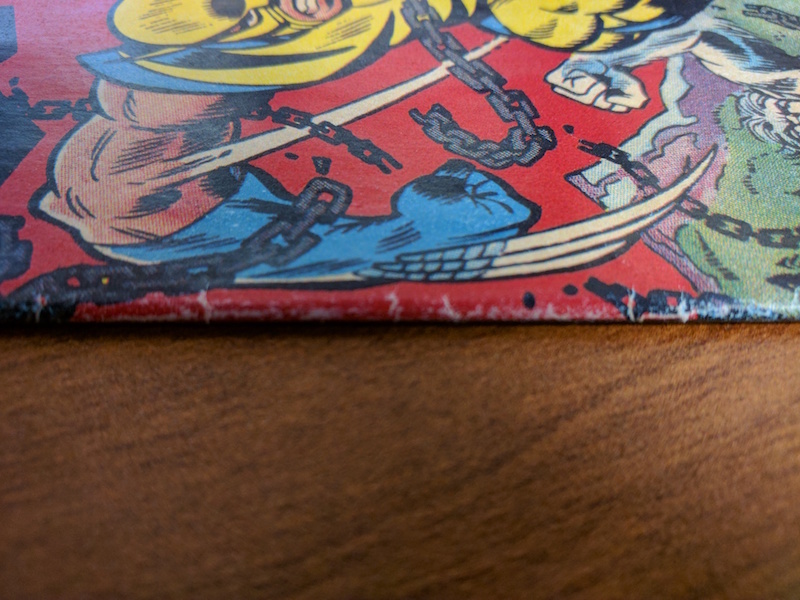 We have been burned once by a fake copy of Incredible Hulk #181. The copy we received was entirely forged -- essentially a high-quality color photocopy. The way to tell: faults of the original the fake was scanned from are "printed on" to the photocopy. So things like wear and spine stress marks are actually part of the printing. There is also a sort of blurriness about the red background and the WOLVERINE in yellow against it. Some of the yellow bleeds out of the word WOLVERINE into the around around it. The 'wear' is the exact same color as the paper, which in real life doesn't happen -- the exposed paper fibers tend to brown and age, or accumulate dirt. 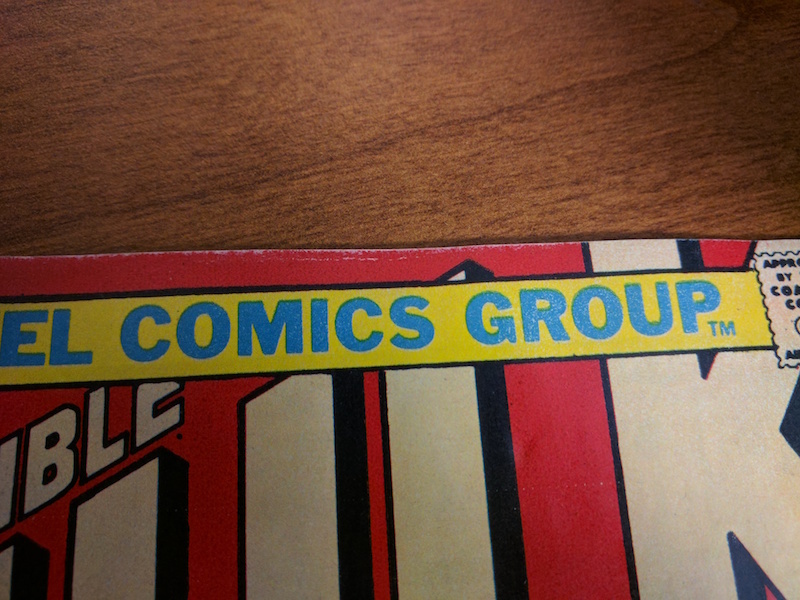 The blue at the top reading MARVEL COMICS GROUP is speckled instead of solid. Read the full story of the fake Hulk #181 here.